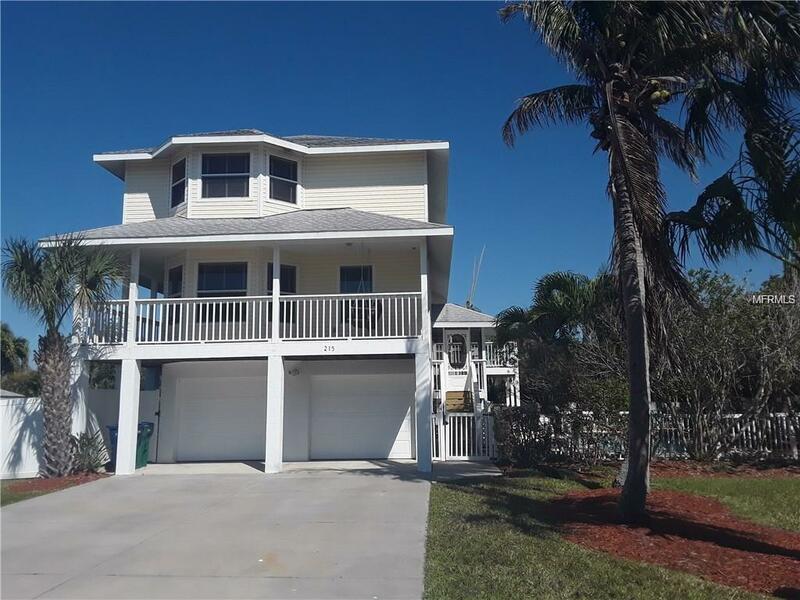 SPACIOUS KEY WEST STYLE 3 BED/3 BATH HOME PLUS DEN ON ANNA MARIA ISLAND WITH PROVEN RENTAL INCOME! LARGE POOL AND SPA WITHIN THE PRIVATE AND TROPICAL FENCED YARD. 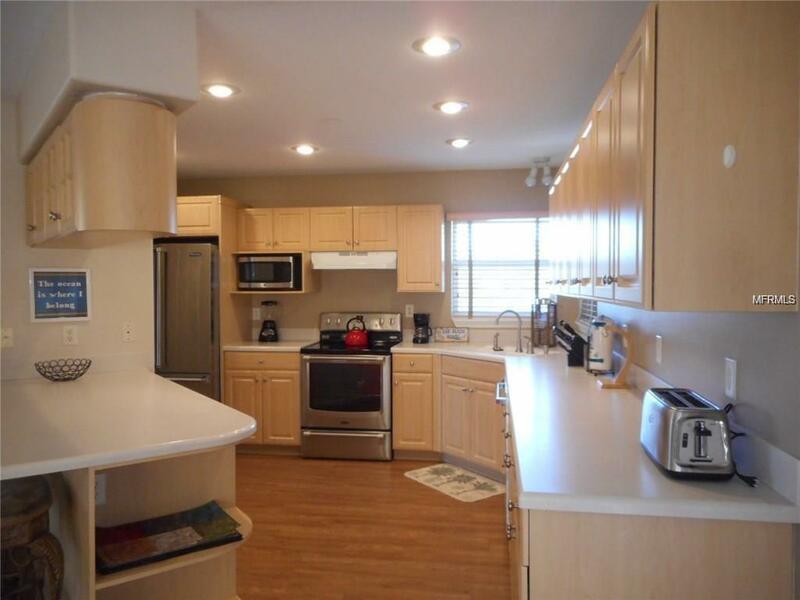 DEEDED BOAT SLIP ON SAILBOAT WATER OR LAUNCH YOUR KAYAK JUST ONE STREET AWAY. ENJOY WORLD CLASS FISHING AND SOME FUN ON THE WATER. THE SCREENED LANAI AND TWO BALCONIES PROVIDE MULTIPLE OUTDOOR SPACES FOR ENTERTAINING AND RELAXING. THE FIRST LEVEL FEATURES A BRIGHT AND OPEN FLOOR PLAN WITH LARGE KITCHEN, BREAKFAST BAR, DINING ROOM, LIVING ROOM, FULL BATH AND A SMALL STUDY CURRENTLY BEING USED A 4TH BEDROOM. UPSTAIRS YOU'LL FIND THE MASTER SUITE WITH WALK IN CLOSET AND BATHROOM WITH JACUZZI TUB AND SEPARATE SHOWER. 2 MORE BEDROOMS AND A FULL BATH WITH CONVENIENT WASHER AND DRYER. OVER-SIZED 3 CAR GARAGE PROVIDES TONS OF STORAGE AND ROOM FOR TOYS. 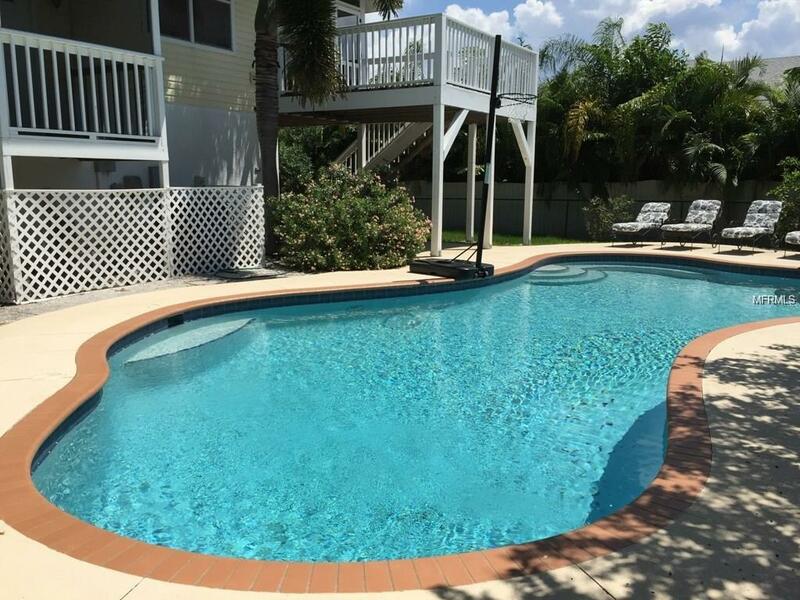 RECENT UPDATES INCLUDE FRESH PAINT BOTH INSIDE AND OUT, NEW WOOD FLOORS, CARPETING AND NEW STAINLESS APPLIANCES. . ONLY A SHORT WALK TO GORGEOUS HOLMES BEACH, THE GULF OF MEXICO AND THE FREE TROLLEY STOP. PARKS, RESTAURANTS, SHOPPING ALL NEARBY. YOUR PERFECT ISLAND RETREAT IS WAITING! 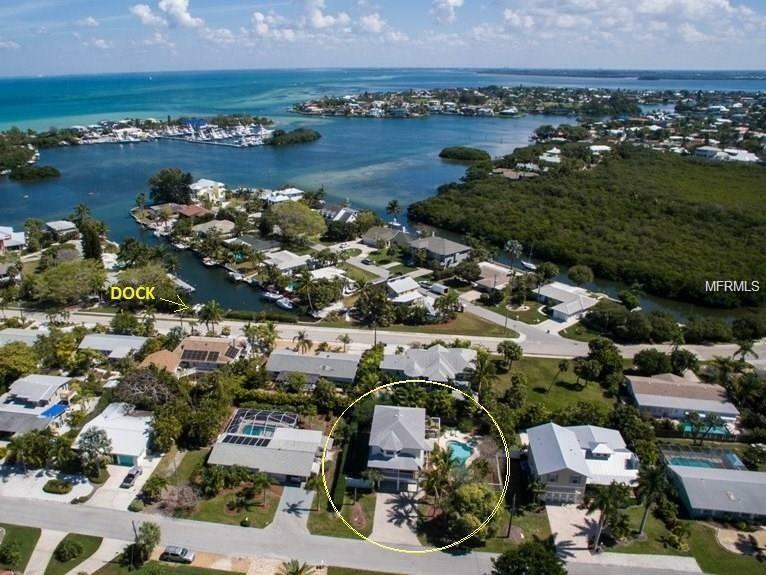 Additional Water Information Deeded Dock Located 1 Street Away For Smaller Boat Or Kayak Launch Sailboat Water. Additional Lease Restrictions Min 1 Month Rental Per City Ordinance. See City Ordinance Code For Details.